Steve Jobs and others like him teach us about a higher or inner knowledge and about the use of spiritual keys for success. These keys work because they are linked to universal laws that govern our universe regardless of whether we choose to learn and live by them or not. Our actions all have consequences. People who choose to recognize the consequence of success use keys governed by basic physics. They consciously choose actions according to notions of principles. Wanda Krause calls people who have learned these keys or principles, and actively use them, spiritual activists. 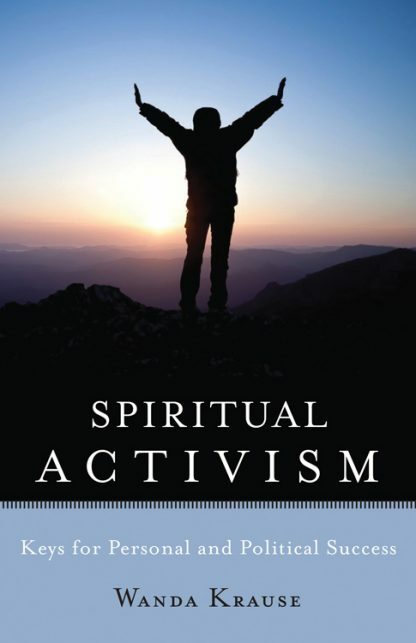 In her book, Spiritual Activism: Keys for Personal and Political Success, Krause provides 12 keys for success that include principles taught by mystics and are grounded in physical laws of the universe. Through observations, interviews, and direct participation with hundreds of activists over a 12-year period, she has found their challenges are becoming more and more complex, yet they are still able to discover keys to success no matter what country they are in, the various aspects of the culture around them, or the particular challenges they face. Krause presents ten activists� stories to show how they achieve real success. Themes include overcoming personal challenges, such as substance abuse or cancer, creating true miracles, entrepreneurship, service after a life of abandonment, post-war peace, politics around new environmental threats, terrorism, politics around nuclear programs, lessons from the Arab Spring, compassionate justice and a new world economic system. The activists provide awareness of their concerns while they provide guidance and examples using spiritual keys. For Krause, whether struggles are considered personal or political they are all embedded in power dynamics that must be transformed, and it is her belief that spiritual activism is the only sustainable way forward. It is important to note not all of those she identifies in her book as spiritual activists affirm a religious belief � some are atheists, some are agnostic � the important message here is these are imperfect beings that truly align their goals with conscious duty and purpose with a strong inner calling and principled action. Readers will easily identify with the spiritual activists in Krause�s book; there is nothing otherworldly or extraordinary about them other than their chosen commitment to lead a life filled with meaning and, as a result, they are helping to change the world for the betterment of everyone. Wanda Krause has traveled extensively and completed a PhD in politics, University of Exeter, UK. She has now studied hundreds of activists and has participated alongside some as well as studied spirituality and integral thinking. She strives to meld the two paths of politics and spiritual practice in hopes of bringing consciousness and enthusiasm to activism and is the author of Women in Civil Society, New York: Palgrave-Macmillan; and Civil Society and Women Activists in the Middle East, London: I.B. Tauris. She is also a Kosmos journal ambassador. Visit Wanda online at: www.spiritualactivismonline.com.